Chairman, National Cardiothoracic Centre of Excellence, University of Nigeria Teaching Hospital (UNTH), Ituku Ozalla, Enugu, Professor Basden Onwubere, has revealed that the centre successfully carried out about 230 open-heart surgeries since March 2013. Onwubere, a former Provost of the College of Medicine, University of Nigeria Nsukka (UNN), disclosed that over half of the figure were children. He disclosed this while responding to questions from reporters at the Akanu Ibiam International Airport, Enugu yesterday on activities of the centre. 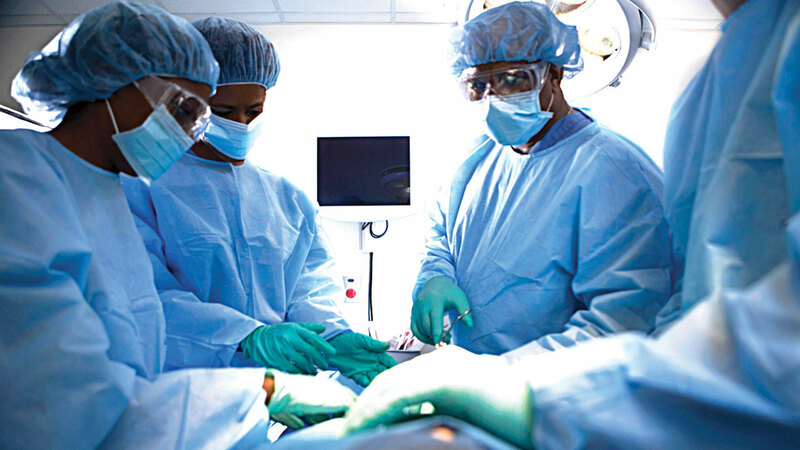 He, however, stated that although UNTH started open-heart surgery in February 1974 and suspended in 2007 due to movement to its new site at Ituku Ozalla, the number carried out in the last six years outweighs surgeries carried out in 33 years from 1974 to 2007. He attributed the progress to support of UNTH’s Chief Medical Director (CMD), Dr. Chris Amah, who not only supported the project financially, but also engaged some international partners and philanthropists who helped to smoothen the process of surgery. Speaking, Amah, noted that he has no regrets investing on the open-heart project. He stressed that his greatest joy was that the lives of some persons who could not have afforded the cost of surgery anywhere, were saved after successful open-heart operations at the hospital, adding that open-heart surgery at the UNTH has become a routine.